Hey, Guys, we have awesome news for those participants who are looking for the government job in Railway Recruitment Board, Secunderabad. Now, here we are going to mention all the detailed information regarding the RRB Secunderabad ALP Recruitment 2018 in the following sections of the article. Interested & skilled aspirants must have a look on this article properly and take all the relevant details from here. 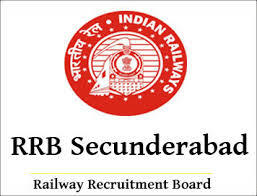 You may apply online for this vacancy from the official website of RRB Secunderabad that is www.rrbsecunderabad.nic.in. For all the latest information, you must visit our careerjobs360 webpage and take all the latest updates from here. Railway Recruitment Board, Secunderabad has circulated the Job notification for RRB Secunderabad Assistant Loco Pilot Vacancy 2018 for filling up 3262 posts of Assistant Loco Pilot & Technician Grade III Vacancies in the Railway Recruitment Board, Secunderabad department. The Railway Recruitment Board department is now seeking for the eligible & skilled aspirants for the empty posts in the Railway Board. Candidates who want to make their career in railway sector then they may apply online for the RRB Secunderabad Technician Jobs 2018 from the official website of RRB Secunderabad. Candidates may fill the online application form on or before the due date that is 26th February 2018 through online mode of application. More information about the RRB Secunderabad ALP Recruitment 2018 such as age criteria, academic qualification, selection procedure, application fee, pay scale and how to apply etc are given below in the article. The Railway Recruitment Board, Secunderabad has invited application forms from the eligible candidates for filling up 3262 posts of Assistant Loco Pilot & Technician Grade III Vacancies in the Railway Recruitment Board, Secunderabad department. Aspirants must read the eligibility criteria of the recruitment before applying for the empty posts from the official advertisement of the recruitment. Here we provide all the details in this article. Candidates must go through the full article then you may fill the applications from 27th January 2018 to 26th February 2018. Required Qualification: Interested candidates must have must done ITI diploma & possess matriculation from any recognized Institution/ Board. For more details, contenders must visit the official notification of the recruitment. The Minimum age limit of the contenders must be 18 years. The Maximum age limit of the contenders must be 28 years of filling the application form of RRB Secunderabad ALP Vacancy 2018. Age relaxation will be given to the reserved category of aspirants as per the government rules and regulations. Selection Process: Contestants can be shortlisted on the basis of their performance in the following selection levels which is going to conducted by Railway Recruitment Board, Secunderabad. General/OBC Category must have to pay of Rs. 100 as an application form fee. SC/ST Category is exempted from the application form fees. Interested Candidates who want to apply for the RRB Secunderabad Technician Grade III ALP Recruitment 2018 then they must have a look at the eligibility criteria from the official Notification of the recruitment. Eligible & interested contestants may fill their online application form on or before the closing date which is 26th February 2018. Here, we have provided some steps for the ease of the aspirants for filling the application form. After that hit the notification link and open it in the next tab. Then, you must have to read the notification for eligibility criteria very carefully before applying for the vacancy. Now, you can fill the application form with all the accurate information without making any mistake. Attach all the required certificates with the application. Upload the recent photograph & signature on the application form.